Should Genetically Modified Mosquitoes Be Used to Stop the Spread of Zika? This post is part of KQED’s Do Now U project. Do Now U is a weekly activity for students and the public to engage and respond to current issues using social media. Do Now U aims to build civic engagement and digital literacy for learners of all ages. This post was developed by Ashley Panton-Lula, a student at Southern Connecticut State University. The latest idea from scientists about how to stop the spread of the Zika virus is by reducing populations of its main vector–the Aedes aegypti mosquito–using genetic engineering. To respond to the Do Now U, you can comment below or post your response on Twitter. Just be sure to include #DoNowUZika and @KQEDedspace in your posts. Many people think that the Zika virus just appeared within the last year. However, the Zika virus was discovered in 1947 in rhesus macaque monkeys found in Uganda. It was not until recently, when outbreaks of the virus started to affect a lot of people, that it received more attention. The Zika virus is transmitted by Aedes aegypti and Aedes albopictus mosquitoes. These mosquitoes are invasive to North and South America and also transmit dengue and chikungunya. Pregnant women infected with Zika give birth to babies with birth defects, including microcephaly, hearing and vision problems, and other brain deficiencies. However, not all pregnant women who are infected with the Zika virus will have babies with these birth defects. Due to the prevalence of mosquitoes, controlling the spread of Zika has been challenging. Some scientists believe one way to stop the spread of the Zika virus is to use genetically modified Aedes aegypti mosquitoes. The idea is to release genetically modified male mosquitoes into the wild to mate with infected mosquitoes. The offspring of the genetically modified mosquitoes would inherit a gene that causes them to die. Over several generations, this would result in a reduced population. The World Health Organization recommends piloting this approach in combination with other interventions including pesticide spraying, eliminating standing pools of water, using insect repellent and mosquito nets, and educating the public about the dangers of Zika. These controls, however, involve huge coordination between civilians, government agencies and others. Some people think our best hoping for fighting the Zika virus and reducing the mosquito population is with these genetically modified mosquitoes. While the genetically modified mosquitos have been proven to reduce populations of Aedes aegypti in some areas, some people are concerned about the ethical implications of genetically modified animals. Some feel that the genes of animals shouldn’t be manipulated for human gain, and argue that we should be more aggressive in other prevention methods, which include using insecticides and personal protection measures. There is also concern among some opponents that potential negative effects have not been adequately studied. However, some supporters for the use of genetically modified mosquitoes to control the spread of Zika argue that using insecticides is less effective and has a greater negative environmental impact than using the genetically modified mosquitoes. Should we use genetically modified mosquitoes to stop the spread of the Aedes aegypti mosquitoes that carry the Zika virus? What do you think? 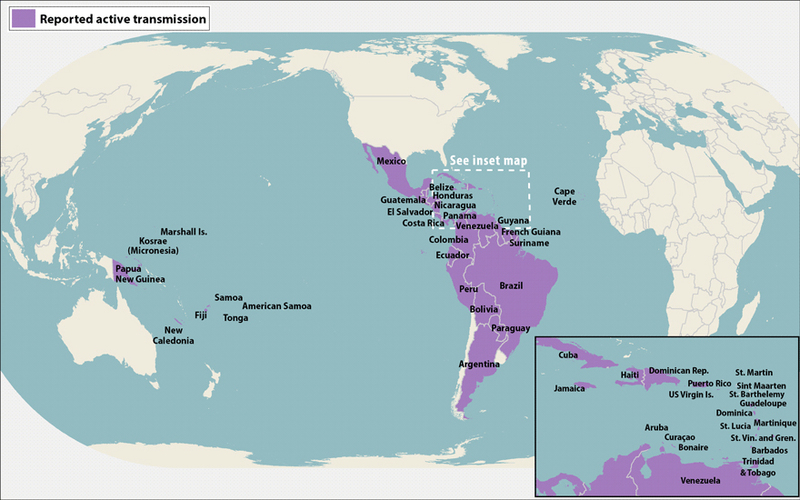 This article provides a quick overview of the Zika virus and mitigation efforts. This quick guide answers some questions about genetically modified mosquitoes and Zika. Can Genetically Modified Mosquitoes Snuff out the Zika Virus? CBS News covers information about genetically modified mosquitoes that can stop the spread of the Aedes aegypti mosquitoes. Killing off mosquitoes sounds like a great idea, but there are a lot of potential environmental impacts that should not be forgotten. Like the fact that birds and bats eat mosquitoes, what would be the impact on them if there were no more mosquitoes? There are a lot of potential social and ethical issues with genetic modification however, the potential benefits outweigh the risks and it is something that deserves research. Maybe there is a way to genetically modify the mosquitoes so that they still live, but don’t carry disease. The spread of Zika Virus is a great danger to everyone in the affected area. Previously, pesticides and poisons allowed mosquitos to became “super” mosquitos and gave them invulnerability to certain repellents. Now, with current tactics like Genetic modification. We don’t give mosquitos the chance to fight back or build immunity. Genetic Modification is the safest and most effective way to mosquitos without disturbing life styles and negatively affecting environments while killing mosquitos. Genetic Modification could be used not just to kill mosquitoes but to repel them as well as ticks, or other parasites. It’ll be interesting if we can buy a shot in 10 years that will cause our body to give off different scents to change how we smell to animals, like pheromones, only stronger. I believe introducing genetically modified mosquitoes to combat the Zika virus will only lead to a cross contamination or possibly the outbreak of a new hybrid mosquito. Individuals have already died that have been bitten or exposed to these nasty mosquitos. If the Zika Virus cannot be isolated or contained, how will we ever truly eliminate it? I believe the best solution is to implement more natural measures. Such as insects or plants that naturally eat mosquitos. Rather than producing something that is not natural in Mother Nature.